Johannesburg- The Independent Regulatory Board for Auditors (IRBA) says it will undertake a review of KPMG’s turnaround strategy to identify “weaknesses in its operations”, adding an “unprecedented crisis also calls for unprecedented measures”. “The independent review and assessment will commence during next week and form part of a continuous process to monitor improvements to the firm’s operations,” IRBA CEO Bernard Agulhas said in a recent address at a senior partners’ forum. IRBA is feeling the heat to crack down on allegations of several errant auditors. It is currently investigating KPMG for signing off on Gupta-owned companies' financial statements. It is looking at KPMG's report about the South African Revenue Service (SARS) 'rogue unit' as well as Deloitte for its role in auditing beleaguered international retailer Steinhoff. “The IRBA as regulator can only do so much within our mandate, so when auditor conduct is under question, it is the auditors themselves who must counter the misperceptions,” Agulhas said. KPMG lost three large clients this week, with Barclays Africa, Redefine Properties and Sibanye-Stillwater all announcing plans to cut ties with the audit firm. This followed the auditor general’s announcement in April of an immediate termination of contract with KPMG after the firm revealed that two former audit partners had had conflicts of interest while auditing VBS Mutual Bank, currently under curatorship. “In the current socio-political climate, auditing is receiving far more media attention than ever before and when something goes wrong the level of public interest is far higher than ever before. "This is not going to change, but what we do need immediately from all stakeholders is a rational and measured response," Agulhas said. He added that recent developments in the industry by “just a few auditors have caused significant impact and collateral damage to many other committed professionals”. 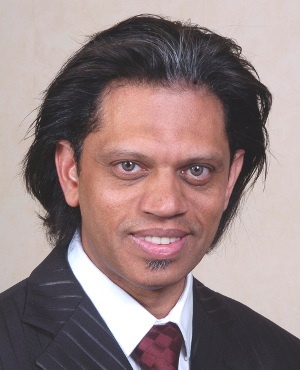 According to IRBA, it has been engaging with Nkonki Inc’s management team since March 28, when it was revealed by investigative journalism centre amaBhungane that former CEO Mitesh Patel’s R107m “management buyout” of the auditing firm was funded by Gupta associate Salim Essa through Trillian Capital. On March 29, an investigation letter was issued to Patel surrounding the alleged share transaction and its funding. IRBA said that the remaining partners and management cooperated fully with the regulator and updated it on steps being taken to address the conduct of Patel, who subsequently resigned. The auditor general terminated Nkonki Inc’s public sector contract on April 17, and the company’s Sunninghill office announced it would undergo voluntary liquidation exactly a week later. “To our regret, there is not much else that the IRBA can do to provide support to the firm. “That Nkonki was one of the black-owned success stories with a significant and respectable history laid down by its founders, wiped out by one individual, makes its loss a blow to transformation," Agulhas said. Agulhas urged corporates to create opportunities for the remaining black audit firms so that they are not almost entirely dependent on public sector work, like Nkonki Inc.
IRBA said it is in everyone’s interest to conclude investigations and hearings as quickly as possible. It added that while it has faced challenges in the past in accessing information, the new management at KPMG has been cooperating with the regulator. The individuals at KPMG involved with the Gupta accounts and the SARS report are being investigated in a separate process by the South African Institute of Chartered Accountants. Both IRBA and SAICA have been criticised by commentators for working too slowly amid the numerous scandals involving the industry.